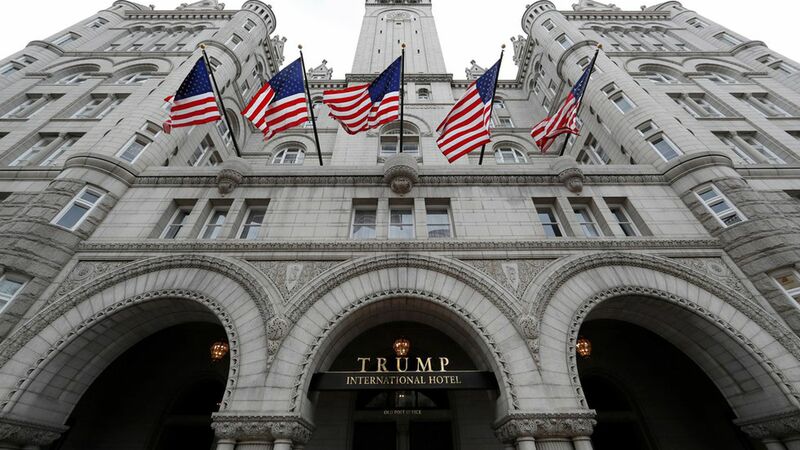 The Trump Organization's properties have emerged as a top destination for Republicans to hold fundraising events and donor dinners, the Washington Post reports. The biggest spender is Trump himself, who has shelled out $534,864 to his own businesses since Jan. 1. Rep. Jodey Arrington from West Texas has spent $16,602 in campaign money at Trump properties since Election Day 2016, including a $16,000 reception at the Trump International Hotel for the 100-plus guests who came to D.C. to watch him get sworn into office. Rep. Tom MacArthur from New Jersey held a fundraiser at the Trump golf course in Bedminster, N.J. The event — headlined by the president himself — cost $15,221 and MacArthur raised $700,000. He used campaign funds. Rep. Dana Rohrabacher of California has spent $12,545 in campaign funds at Trump hotels since the election. His event at the International Hotel in D.C. raised $100,000. Rep. Bill Shuster of Pennsylvania has split a total of $9,277 of his campaign committee's budget between Trump's D.C. hotel and the BLT Prime steakhouse. Rep. Michael McCaul of Texas used campaign money to throw a Christmas reception at the BLT Prime steakhouse in December 2016. The event cost $7,585. Rep. Greg Walden of Oregon has used $6,707 in campaign funds at BLT Prime since the election. Rep. Roger Williams of Texas has also shelled out campaign funds at the upscale restaurant. His expenses total $3,286. Rep. Mike Kelly of Pennsylvania has held events at Trump's D.C. hotel and at BLT Prime that cost $2,154 in campaign funds. Sen. John Neely Kennedy of Louisiana spent $1,850 in campaign money for lodging at the Trump International Hotel in late August. Omar Navarro, a Republican challenging Rep. Maxine Waters — who is a vocal Trump critic — in Los Angeles has spent $8,451 at Trump properties since the election, including at Trump's Las Vegas hotel and his golf club in Rancho Palos Verdes, California.